Health coverage through Anthem offers access to an extensive network of providers for all your medical, prescription drug and mental health care needs. Review the list of Anthem eligible expenses to see what procedures are covered, may be covered with specific documentation or are not covered. You won't usually have to pay up front when you visit the doctor — but your doctor could charge you at the time of service. Your in-network doctor's office can call Anthem to find out how much you'll owe for a particular service or whether you've met your annual deductible. You may have to pay the full amount at the doctor's office. Your doctor's office won't know how much you'll owe for a particular service or whether you've met the annual deductible. Your portion of the bill may be significant, so be careful. You may need to file a claim with Anthem to get reimbursed. Click here for the Anthem free mail-order drug list. The Anthem HAP card that tells your doctor that you're eligible for medical benefits. 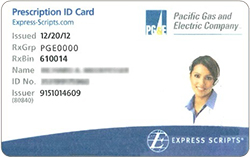 The Express Scripts ID card tells your pharmacy you're eligible for prescription drug benefits. The WageWorks health care card will be loaded with your annual Health Account credits and – if you elected the Health Care Flexible Spending Account (FSA) – your FSA contribution. When you file a claim, you're submitting a request for reimbursement for an expense you paid out of pocket. Watch the Reimbursements with Anthem video to learn how to file a claim. When you verify an expense, you're submitting paperwork that proves your expense was eligible – usually an Explanation of Benefits (EOB) or itemized receipt showing the date and amount of service, the provider’s name, patient’s name and the service provided. If you use your WageWorks health care payment debit card, you have until March 31 of the year after you use your card to verify your expense, if requested. The March 31 deadline only applies when you use your WageWorks health care debit card. December 2018: You incur an eligible dental expense. April 2019: You use your WageWorks health care debit card to pay the bill. March 31, 2020: Did WageWorks request more information? March 31, 2020, is the last day you can submit your EOB or itemized receipt to verify the April 2019 card payment to your dentist was for an eligible expense. If you use WageWorks Pay Me Back or Pay My Provider, no deadline to file your Health Account claim. The verification process is part of the claims filing process, so there’s no separate verification deadline. Different rules apply when you have only the Health Account – versus when you have a Health Care Flexible Spending Account (FSA). 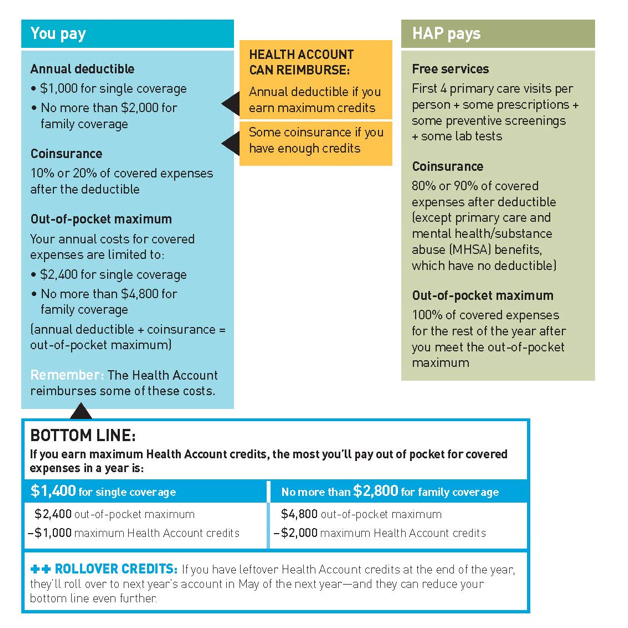 If you have both the Health Account and a Health Care FSA, the Health Care FSA rules govern. 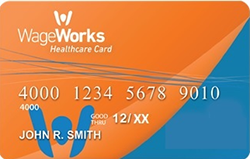 Can you use the WageWorks health care debit card for prior-year expenses? December 27, 2018: You visit the dentist, and ask him to bill you. April 17, 2019: You use your WageWorks health care debit card to pay your 2018 dentist’s bill. The payment will automatically be deducted from your Health Account. March 31, 2019: Did WageWorks request more information? This is the last day you can submit your EOB or itemized receipt to verify that the April 20, 2018, card payment was for an eligible expense. March 1, 2019: You realize you still have money in your 2018 Health Care FSA – and you have until March 31, 2019, to file FSA claims for 2018 expenses. You can pay the bill using your own money and get reimbursed through WageWorks Pay Me Back – or use WageWorks Pay My Provider to pay your dentist directly. The payment will automatically be deducted from your 2018 Health Care FSA contributions until your 2018 contributions are used up or until the FSA claims filing deadline of March 31, 2019 – whichever occurs first. Log in to your WageWorks account and use Pay My Provider if you get a bill and you don’t want to use your card. Pay My Provider sends money to your provider for amounts not paid by insurance. You can access your WageWorks account directly after logging into Mercer Benefits Central and clicking the WageWorks link. You may also log onto wageworks.com or download the EZ Receipts app to check balances, upload receipts, and file claims. If your spouse or other close family member needs to obtain WageWorks account information on your behalf complete the HIPAA Authorization Release Form and send it to WageWorks. Want to authorize someone else to contact WageWorks for you? Does someone at home handle the bills? Do you want to authorize someone else to contact WageWorks on your behalf? Alternatively, you can complete the HIPAA Authorization Release Form and send it to WageWorks. You can use the WageWorks health care card for all health care expenses, including medical, mental health or substance abuse care, dental and vision expenses, and for prescription drugs and select over-the-counter supplies. However, not all small, independent pharmacies have the correct computer system to validate your transaction, in which case you'll need to pay for the prescription using another form of payment. Send your explanation of benefits (EOB) to WageWorks when you get it—even if you paid with your WageWorks card. Sending the EOB right away will help avoid having your payment delayed. If you need help filing a claim or reimbursement, call the PG&E Benefits Service Center at 1-866-271-8144, and select option 1 and then option 1 for WageWorks. If you use an in-network provider, you don’t need to file a claim — your doctor will file one with Anthem. Anthem will then pay your doctor amounts it covers under the Health Account Plan (HAP) and send you an Explanation of Benefits (EOB). Once you receive your EOB from Anthem, you can use your WageWorks health care card to pay your doctor the amount you owe him or her, as long as you have enough in your Health Account or Health Care FSA. You should always save your receipts and EOBs for IRS purposes. After you receive mental health or substance abuse care from a Beacon Health Options provider, you’ll need to wait a few weeks for Beacon Health Options to process your claim, determine what you owe, and mail you an Explanation of Benefits (EOB) form. Once you receive your EOB from Beacon Health Options, you can use your WageWorks health care card to pay your health care provider the amount you owe them, as long as you have enough in your Health Account or Health Care FSA. You should always save your receipts and EOBs for IRS purposes. You can use your WageWorks health care card to pay at the time of service, but you may have to submit documentation to WageWorks such as copies of your receipts or Explanation of Benefits (EOB) forms at a later date. Note, if you don’t provide the IRS-required documentation to verify your purchase as an eligible health expense, you may be taxed on the unverified amount. You can use any pharmacy. To maximize savings, use Express Scripts pharmacies and the mail-order program. You will pay the entire cost of prescriptions if you haven't met your annual deductible. Amounts paid for prescriptions apply to the annual deductible and out-of-pocket maximum. You'll never pay more in a year than your annual out-of-pocket maximum. You must use Express Scripts mail order for free drugs. Most, but not all, maintenance prescriptions must use Express Scripts mail order after a maximum of three fills at a retail pharmacy. You can use any pharmacy for prescriptions, but you’ll have lower costs when you use an Anthem in-network Express Scripts pharmacy. At an in-network Express Scripts pharmacy, the pharmacist can tell you exactly how much you owe for a particular drug. You can use your WageWorks health care card to pay for prescriptions and some over-the-counter health care supplies. If you don't have enough in your Health Account (and Health Care Flexible Spending Account (FSA), if you’ve elected it), you'll need to pay out-of-pocket. You can also go to www.express-scripts.com to view your statement. At an out-of-network pharmacy, you can use your WageWorks health care card to pay for the entire cost of the prescription. However, not all small, independent pharmacies have the correct computer system to validate your transaction, in which case you’ll need to pay for the prescription using another form of payment. In all instances, if you pay 100% up front, you will then have to file a claim with Express Scripts for reimbursement. 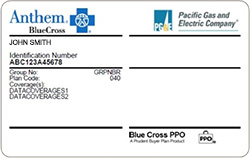 Click here for the Express Scripts Prescription Reimbursement / Coordination of Benefits Form. The form can also be obtained by calling Express Scripts at 1-800-718-6590 or by downloading it at www.express-scripts.com. Want to manage your prescriptions on the go? Use the express scripts app to request refills and renewals, track mail-order prescriptions, get alerts about possible drug interactions and more. Click here for more information. You must use the Express Scripts mail-order program for certain maintenance medications. You can get up to three fills of the same prescription from a retail pharmacy before you have to switch to mail order. If you don’t switch to mail order after three fills, you’ll have to pay 100% of the cost at the pharmacy — and this does not apply to your deductible or out-of-pocket maximum. Most narcotics, ADHD drugs, and compound drugs are not part of the mandatory mail-order requirement; you’ll need to purchase these at a retail pharmacy. You can get up to a 90-day supply of medication for each prescription when you use the Express Scripts mail-order program. You must use the Express Scripts mail-order program for certain maintenance medications. You can get up to three fills of the same prescription from a retail pharmacy before you have to switch to mail order. If you don't switch to mail order for those maintenance medications, you'll pay 100% of the cost and nothing will apply to your deductible or out-of-pocket maximum. Click here for a list of eligible Health Care FSA expenses, and click here for a list of Dependent Care FSA expenses. Your Health Account — 100% funded by PG&E — gives you health care credits to spend that can roll over from year to year if you don’t use them. Your Health Care Flexible Spending Account (FSA) — if you’ve elected to contribute your before-tax dollars to help you pay for out-of-pocket medical expenses. Your FSA accounts have a "use it or lose it" rule. However, you can carry over unused balances up to $500 to the next year as long as you're eligible to participate in the Health Care FSA as of January 1 of the next year. To help you avoid forfeiting unused FSA dollars at the end of the year, your Health Care FSA will always pay claims before your Health Account pays claims. When your Health Care FSA is used up, your Health Account will pay claims. No reimbursements will come out of your Health Account until your Health Care FSA is used up, and it’s all handled by WageWorks. For additional information, see Spending Accounts. To check your FSA or Health Account balance, log on to WageWorks through Mercer BenefitsCentral. Alternatively, you can log into wageworks.com or use the EZ Receipts app. Did you know that you can choose and register a Personal Care Physician (PCP) with Anthem? It can make a big difference in your health. A PCP can help you stay healthy and manage certain ongoing health problems, which can help lower your health care costs and save time in getting specialized care. Click here to learn how you can find an Anthem PCP. With Anthem’s telemedicine program, LiveHealth Online, Anthem members can use a computer or mobile device to virtually meet with a board-certified doctor anytime, anywhere—including home and work—for consultation when you’re sick, have a rash or even to receive a prescription. Easily accessible and convenient, LiveHealth Online saves you time and the hassle of driving to a doctor’s office, helping you get the right care at the right time. There are no appointments or long lines to see a doctor, and it’s already part of the Anthem Health Account Plan (HAP). All you have to do is register to get started. The cost for a virtual doctor appointment is only $4.90, if you are an Anthem HAP member. If you aren’t enrolled in the Anthem HAP, the cost is $49. You can use your Health Account to pay this cost. Register by going to livehealthonline.com or downloading the LiveHealth Online iPhone or Android apps. When virtually meeting with a doctor at work, you must use cell service to connect. Virtual doctor consultations cannot be accessed through PG&E’s Wi-Fi. For additional information about Anthem’s telemedicine program, please refer to the LiveHealth Online FAQs, email customersupport@livehealthonline.com or call 1-855-603-7985. For onsite kiosk questions, please email Wellness@pge.com. You pay 20% of the cost for all specialist office visits after you meet the annual deductible. Your specialist may charge you up to the full amount of your deductible at the time of service, and you may need to file a claim to get reimbursed. You can visit any provider or specialist of your choice without preauthorization from your primary care doctor. If you or your loved one has been touched by cancer, you may have questions and need to make some timely decisions. To help you during this time, PG&E provides you and your covered dependents with Anthem's case management program — a cancer resource that specializes in oncology, and is designed to help members understand what to expect and plan how to move forward with a cancer diagnosis. Are you currently undergoing treatment for cancer? If you have questions about benefits or resources, please contact Anthem for referral to a case manager: 1-888-613-1130. Representatives are available Monday through Friday from 9 a.m. to 8 p.m. and Saturday 9 a.m. to 4:30 p.m. Pacific time. No matter where you are in life, we’re making it easier for you to receive the high-quality care you need. Some hospitals advertise themselves as urgent care centers when in fact, they’re not and they charge higher emergency room rates. This can make a big difference in how much you pay out of your own pocket. Always check to see if the facility you want to use is really an urgent care center. Go to anthem.com/ca/pge or access the Anthem BlueCross smartphone app to find an urgent care center near you. You pay 20% of the cost, subject to the annual deductible. After you visit the emergency room, your HAP plan administrator—Anthem—will process the claim and then send you an Explanation of Benefits (EOB). You’ll be able to visit any provider or specialist of your choice without preauthorization from your primary care doctor. You generally will be charged fees that are higher than the NEGOTIATED RATE charged by a NETWORK PROVIDER and will be responsible for the portion of those fees that are over the reasonable and customary limits. You may also be responsible for any ineligible expenses or even the entire bill. You should discuss this with your PROVIDER, as these amounts can be substantial. Applied Behavior Analysis services are also provided through Beacon Health Options (at no charge, with no deductible). To obtain prior authorization or pre-certification from Beacon Health Options, please call 1-888-445-4436. During this call, a care manager will request basic information — including, but not limited to — a child's diagnosis, who made the diagnosis, and what the presenting symptoms are (e.g., developmentally delayed skills, problem behaviors).